While a great heater can warm up any spot in your home during the winter season, it can be rather difficult for you to get moisture in a home during the winter. The dry air of the winter can be bothersome to anyone. Fortunately, a humidifier can be used to help you get the most out of your heating device. The air in your HVAC unit will be dry like the rest of the outdoor air during the winter season. Therefore, having a humidifier alongside your heater is always a good idea to consider. This can improve how your home gets enough heat while being rather efficient in the process. 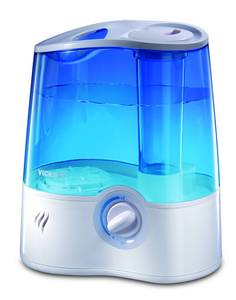 What Makes a Humidifier Work Well? A humidifier can be used with your heating unit to add extra moisture into the air. When the air is slightly moist, the heat will carry around well. It will move around the entire room. Also, the heat will last for a longer period of time. It will not wear out quickly so you can always use your heater at a lower temperature if needed. The heat will stick around for a while and you won’t have to compensate for losses by increasing the temperature. On a related note, you will not spend more money when you use a humidifier to keep the warm air under control. How Will You Add the Humidifier? A humidifier can always be added into a room that you plan on getting more warm air into. It helps to add it in a spot where you are more likely to use the heater in. This comes as you aren’t likely to find a humidifier that can be built directly into your heater unless you have an option that works with a water-based heating setup. The humidifier should be prepared with a good water reservoir and should be in a spot not too far from your vents. This should help with getting the added moisture into the area without being harder to use than necessary. It will work wonders for your home when used right. You can always use house plants alongside a heater to increase the humidity in a room. This works to allow a bit of added moisture as plants can generate a small amount of this in many cases. This should not be used as a total substitute for a humidifier but it can at least keep the load on that unit from having to be stronger than necessary. Check carefully on how your heater is set up.. A great humidifier will do wonders for your heating needs when you consider how well it will preserve the air as it is heated. This entry was posted in Heating Services by Whit Kinser. Bookmark the permalink.